October is Domestic Violence Awareness Month. At Anthem Strong Families (ASF) we are advocates and champions for families. We, as a community must be intentional about combating domestic violence and become CHAMPIONS for change. Everything begins with the strength of the family and domestic violence is one of the many indicators of family brokenness. Physical bruises can indicate that someone may be in an unhealthy and abusive relationship. Anthem Strong Families offers a mini clinic for both survivors and perpetrators of domestic violence. 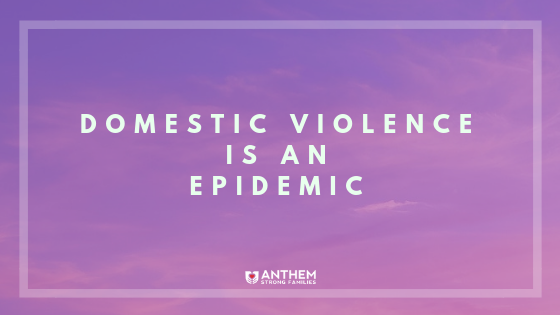 If you or someone you know needs help please visit our website at www.anthemstrongfamilies.org or call the National Domestic Violence Hotline at 1-800-799-7233 for more information.